The Italy Economic Development Corporation voted to continue with downtown improvements and approved $80,500 for an open-air structure at 100 E. Main Street at its monthly meeting held Monday evening. After a recommendation from Mark Stiles, president, the group voted to hire Ronnie Hyles as project manager at a cost of $71,000. Additional costs include $6,500 for electrical work and about $3,000 for four picnic tables that will be chained to poles inside the facility. 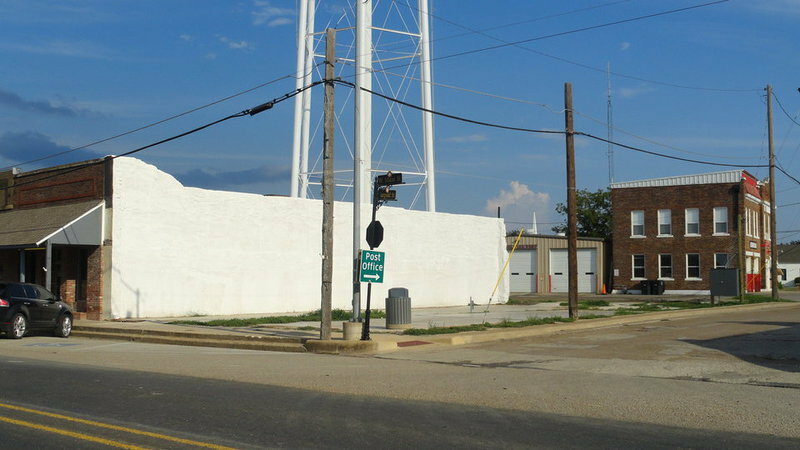 The group also approved an additional $3,000 expenditure that authorizes Hyles to power wash the side of the Boze Community Center and repair damaged bricks on the side of the building. That brings the total expenditures to $83,500 from the $90,834.91 that remains from the group’s recent bond project. Stiles said the IEDC was discussing the construction of a new community center 18 months ago when they discovered the Boze building that was for sale at half the price of new construction. Stiles said Teri Murdock, city secretary/administrator, obtained a good financing rate and it is now operational. He said the remaining portion of the bond could be used for the empty slab across from city hall. He said it could be used as a farmers market, as a site to house vendors during the annual Christmas festival and other type events. He said residents and visitors could enjoy the facility throughout the day. Following an hour-long presentation from Charles Hyles, IEDC member, Tom Little made the motion to approve the project with a second from Elmerine Bell. The motion passed with approval from all but Hyles who abstained from the vote. Hyles also suggested the IEDC sell bricks to personalize the space. He said the top wall could hold approximately 264 bricks. Following a lengthy discussion, the group agreed to sell the bricks for $30 each. Each brick will have three lines available and either 16 or 13 letters/spaces per line depending on whether a logo is ordered. They agreed to take orders between Oct. 1 and Nov. 1. 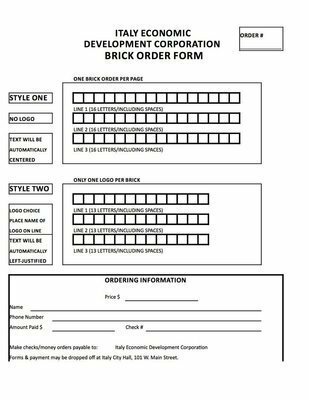 Orders can be placed after that date but will be added to the space when 12 or more bricks are purchased. Stiles and Little thanked Hyles for his hard work and dedication toward this project. The board also approved minutes from the August meeting and approved bills. The group will meet again on Monday, October 22.